A Bulgarian NGO has managed to raise a considerable sum of money to fund the rescue excavations of the so called “Bulgarian Stonehenge" – an Ancient Thracian stone circle (cromlech) at the town of Staro Zhelezare near Hisarya in Southern Bulgaria. In the 15 years, since its discovery, however, the Bulgarian Stonehenge has been largely abandoned to the mercy of looting treasure hunters and the weather, and is now in a terrible condition. As in the spring of 2014, Bulgaria’s Ministry of Culture said it could not provide funding for the rescue and further excavations of the Ancient Thracian megalithic observatory, local residents have set up a foundation to to save the unique archaeological site. The NGO has already raised BGN 14,000 (app. EUR 7,100) out of a total of BGN 19,000 (EUR 9,700) needed for the rescue excavations of the cromlech at Staro Zhelezare, lawyer Alexandra Delova from the foundation has told Radio Plovdiv. Delova says that her organization expects to receive a permit for archaeological excavations within 10 days; once the permit is issued, the Ancient Thracian site will be excavated in August 2015 by a team led by renowned Bulgarian archaeologist Prof. Diana Gergova. The largest donation for the rescue of the now dilapidated ancient megalithic observatory, BGN 10,000 (EUR 5,100), has come from a large international corporation, while locals and especially Bulgarian immigrants living abroad have donated another BGN 4,000 (EUR 2,000). The NGO has asked Hisariya Municipality to provide the remaining BGN 5,000 (EUR 2,500) but Delova says that it should be able to raise the money even if the local authorities fail to contribute. 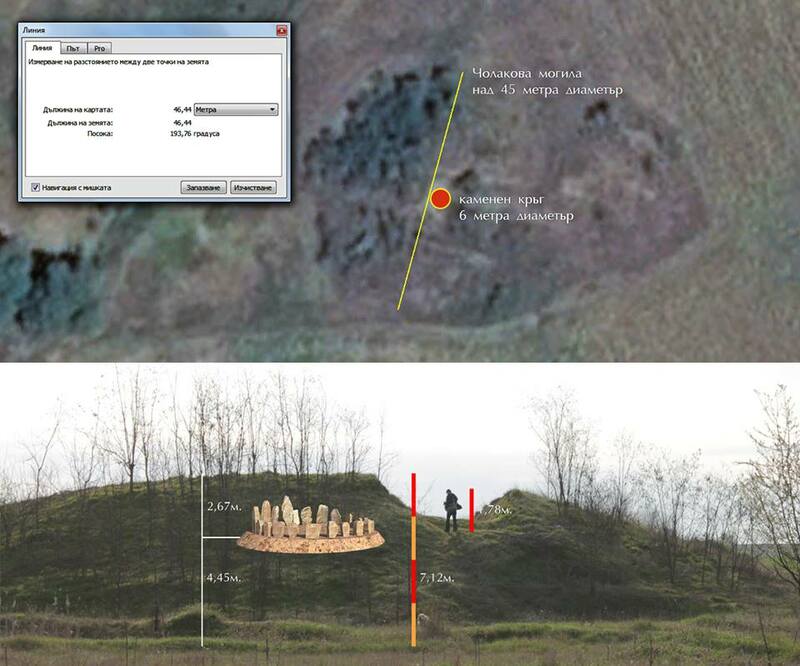 Part of the funds raised by the foundation were used in the fall of 2014 to carry out a preliminary exploration of the mound called Cholakova Mogila where the Ancient Thracian cromlech (stone circle) is located. Unfortunately, after its discovery in 2001 the impressive archaeological site was left with only a the temporary shelter which lasted only a year. “For 12 years nobody had done a single thing, nobody had cleaned the mound, there was a dump site nearby which was about to engulf it in a year or so. While this is a unique archaeological site, it now consists of a pile of fallen stones, with a puddle in the middle when it rains. Unless urgent measures are taken, there will soon be no cromlech but a swamp," concludes Alexandra Delova. In 2014, Bulgaria’s Ministry of Culture suggested that the site be buried because there was no funding for its conservation. 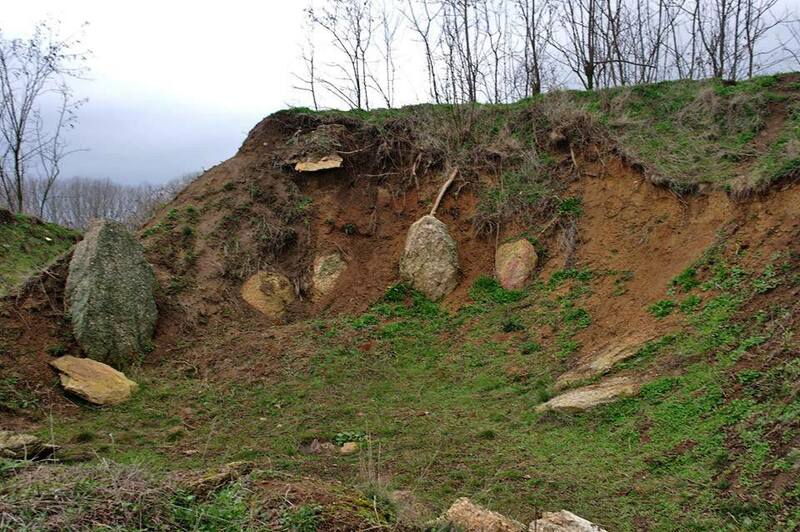 Now thanks to the efforts of the local activists, it seems that the Bulgarian Stonehenge at Staro Zhelezare will be rescued and may even become a major cultural tourism site. Similar megalithic cromlechs (stone circles) have been found in the southernmost parts of Bulgaria – in the Eastern Rhodope Mountains and in the Strandzha Mountain. However, the Ancient Thracian stone circle near Hisariya is truly unique, and not only for this part of Bulgaria. Foundation “Let’s Save the Cromlech at Staro Zhelezare"
Cromlech (from Welsh) is a term describing prehistoric and ancient megalithic structures. In English, it usually stands for dolmens, prehistoric single-chamber stone tombs. However, in some other European languages, including Bulgarian, French, Spanish, or Italian, cromlech stands for prehistoric megalithic structures known more commonly known in Enlgish as stone circles. The Ancient Thracian Cromlech (Stone Circle) in the town of Staro Zhelezare – also known in the media as “the Bulgarian Stonehenge" – is a an Ancient Thracian megalithic observatory located 12 km away from the southern Bulgarian town of Hisarya, and 10 km southeast of the Thracian cult temple at Starosel. The Ancient Thracian cromlech in the town of Staro Zhelezare consists of 24 erect megalithic slabs (of which 2 are missing) of various sizes arranged in a proper circle. They are believed to have been used by the Odrysians (Odrysae), the most powerful Thracian tribe which created the Odrysian Kingdom. The stone circle was covered buried under a man-made mound known today as Cholakova Mogila by the Thracians after they stopped using it. 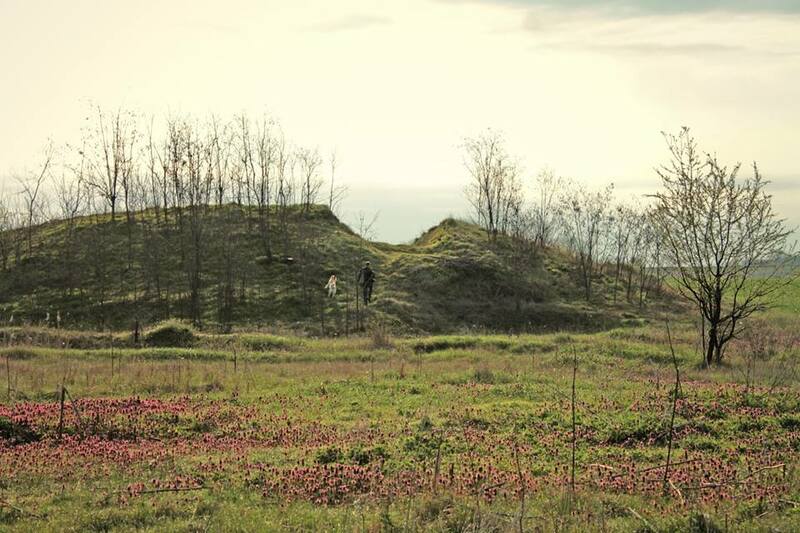 The mound itself is 45 meters in diameter, and the stone circle measures 6 meters in diameter. 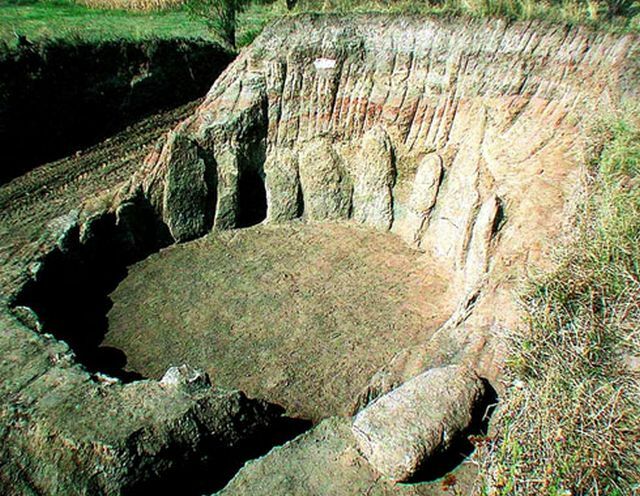 The Staro Zhelezare Cromlech (Stone Circle) was discovered in 2001 by late Bulgarian archaeologist Georgi Kitov. Fragments of ceramic vessels found after digging up the mound above the cromlech were dated to the beginning of the 5th century BC, while the cromlech (stone circle) itself is dated to the 6th century BC. It is the only cromlech (stone circle) of its kind found in the northern part of today’s historical and geographic region of Thrace (Trakiya) known as Upper Thrace. Similar stone circles have been found in the very south of Bulgaria – in the Eastern Rhodope Mountains and in the Strandzha Mountain. Archaeological and astronomical research indicates that the cromlech (stone circle) near Staro Zhelezare was used by the Ancient Thracians as an astronomical observatory to measure the year cycle, equinoxes, and solstices which played an essential role in the rituals and economics in the Thracian calendar. The different phases of the Sun God were followed by the Thracian priests while the regular Thracians provided sacrifice gifts.